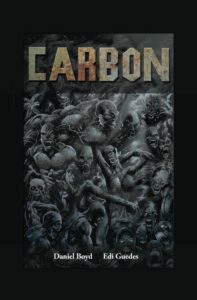 All new self-contained tale picking up from where the critically acclaimed CARBON graphic novel left off. 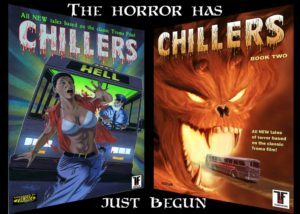 Jacob ‘Heat’ Hatfield leads Eden’s survivors away from the liquefied sea of the burning coal but the chaos of a rapidly accelerating environmental disaster threaten to engulf the Earth. With the cryptic message of ‘Go to the Burning Spring. 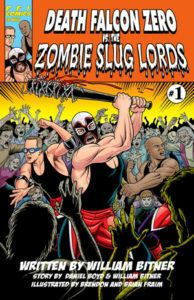 Make Red Salt’, the survivors race ahead of a double threat of the carbon demons and the new militia. 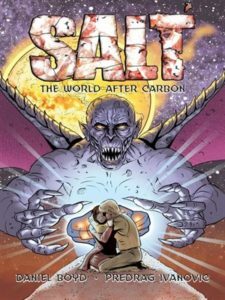 Collects issues 1-6 of the entire SALT comic series.